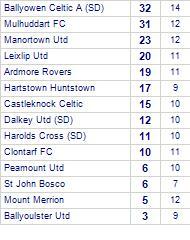 Leixlip Utd are defeated by Hartstown Huntstown. 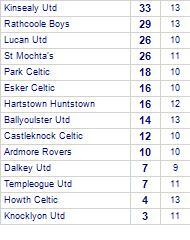 Hartstown Huntstown take all points from Dalkey Utd. 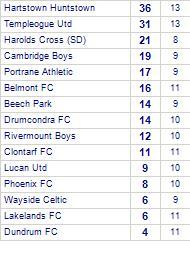 Dalkey Utd have yet to win away from home. 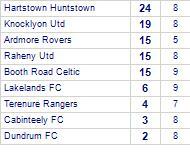 Raheny Utd are defeated by Hartstown Huntstown. 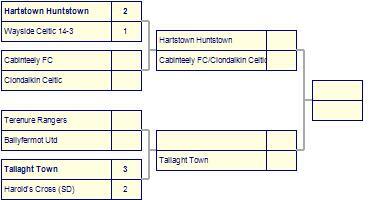 Hartstown Huntstown has yet to be beaten in this competition, having won every game. Hartstown Huntstown win against Donnycarney Utd.